Politicians continue to put their interests first in ignoring looming consequences to the massive and growing U.S. national debt, experts on the economy said at a recent forum. “We are facing the largest, most predictable crisis in U.S. history, and almost nobody is talking about it,” warned Romina Boccia, deputy director of economic policy studies at The Heritage Foundation. “We need bold leadership,” Boccia said. If you just look at nominal dollars, [as the Congressional Budget Office] sets it, in the next 30 years, the national debt will go from $20 trillion to $92 trillion. That’s the rosy scenario. That assumes no wars, no terrorist attacks, no recessions, and that interest rates stay low. Boccia and Riedl spoke during a panel discussion, “U.S. Debt: Causes, Costs, and Consequences,” held July 12 at The Heritage Foundation in Washington. Also on the panel were Michael Tanner, a senior fellow at the Cato Institute, and David Barnes, policy director for Generation Opportunity. 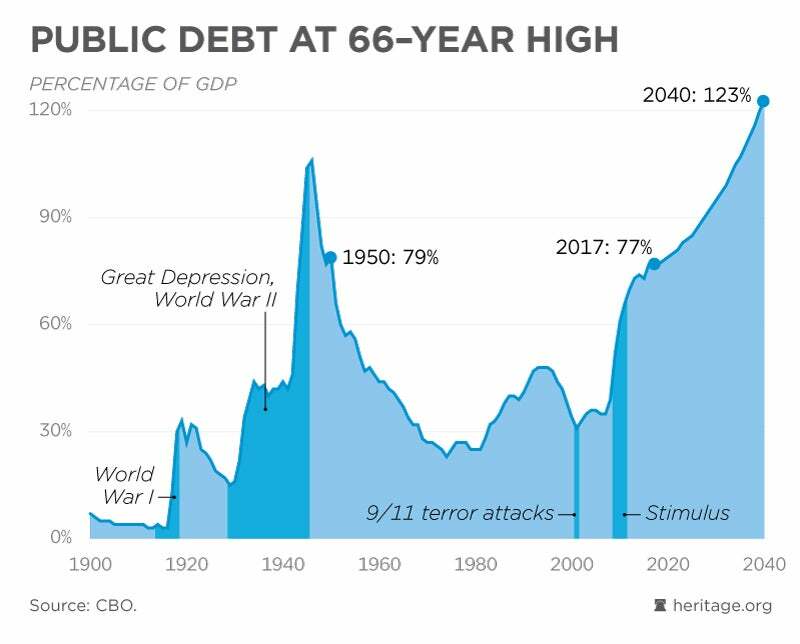 Panelists pointed to an aging population and political expediency as the two biggest reasons for the out-of-control spending driving the debt increases. Barnes said lawmakers lack the incentive to prioritize long-term strategies over short-term re-election concerns. “As long as we, the people, don’t hold [lawmakers] accountable, we’re never going to get out of this problem, because we prefer to get something today and put off tough decisions,” he said. Both Tanner and Riedl said that many short-term votes by Congress are a consequence of the electorate’s aging demographics. Politicians are rewarded for protecting entitlement programs, they suggested. Despite relative silence from Congress on the debt, panelists said, it should be a top priority for lawmakers and their constituents. “It makes us poorer, to start with. The Congressional Budget Office indicates that young people in the midcentury will have income [between $3,000] to $5,000 a year less than they would if this debt didn’t exist,” Tanner said. “It’s also making us poorer today. Companies look at this mountain of debt and ultimately see it as future taxes, future problems for their borrowing, and they therefore invest less and slow their expansion,” he added. 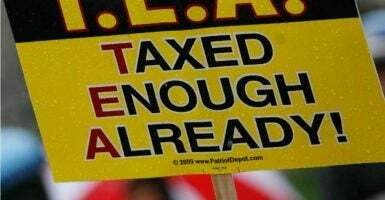 In response to a question from the audience, panelists argued that higher taxes could not fix the growing national debt. Riedl singled out for criticism Sen. Bernie Sanders, I-Vt., who contended for Democrats’ 2016 presidential nomination, and his rhetoric about more heavily taxing the top 1 percent of income earners. Barnes said dollar-for-dollar spending reductions could be “a start” in addressing the problem. Related legislation would create mandatory spending cuts to match increases in the debt ceiling. That’s the thrust of the a bill proposed by Sen. Rob Portman, R-Ohio. “Some broader budget process reforms [are needed] as well,” Barnes said. Watch a video of the event here and see charts on runaway government spending here.